Grab a drink and delicious international and local fare! 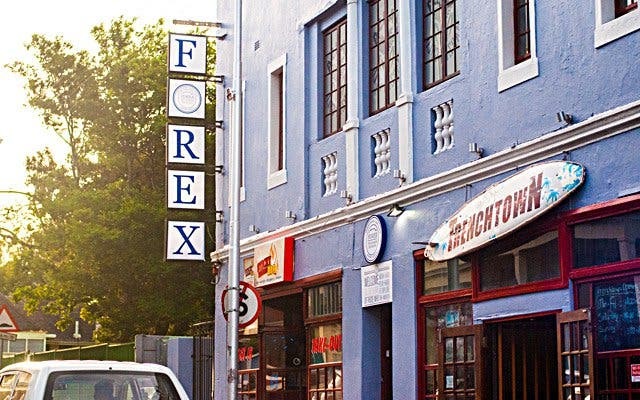 Walking into The Forex Bar in Cape Town’s Southern Suburbs is like stepping into some sort of United Nations-style establishment for the young and fun. 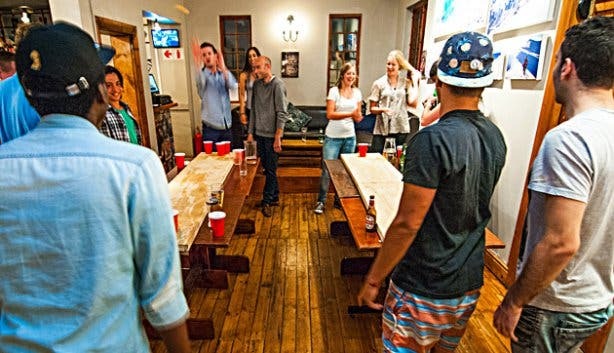 American and Dutch accents meld with Xhosa clicks, multilingual chatter moves back and forth over beer mugs and colourful stories of faraway countries are swapped over spirited games of backgammon. You see, this welcoming, at times wild, pub deals in the currency of different cultures. Appropriately situated in the diverse, international suburb of Observatory, Forex, as it’s commonly known, is both a base for expatriates looking to celebrate their national identities and an easy-going spot where those from abroad and those from Mzansi can mix, mingle and trade thoughts and customs. “It’s a place for locals to meet foreigners and vice versa,” explains owner Jan Oberholzer, with a passion mixing the international with the local. The old Obz favourite has also re-opened their kitchen introducing a mostly American food offering, as well as the Nederland’s cuisine with a special focus on bar snack, which are a huge hit internationally. The Forex Bar offers curly fries, battered pickles, spicy shrimp tacos, pot pies, bangers and mash, cottage pies and so much more to keep your belly warm and filled this winter. 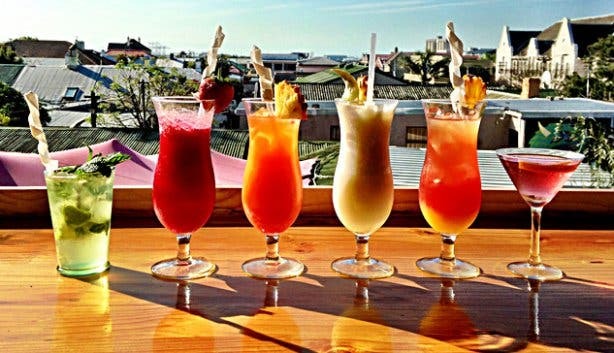 Tip: Forex Bar aims to expand their offerings to more of a unique experience, with open potjies on the fire and an acoustic set by a live band. Just imagine a chilly Sunday afternoon in front of the fire, with sweet tunes playing in the background. Keep your eyes peeled to Forex Bars’ Facebook page for details. And on a Thursday night the more lit crowd can visit the large second-storey joint, as the space is filled to bursting point with those keen to live it up a little. 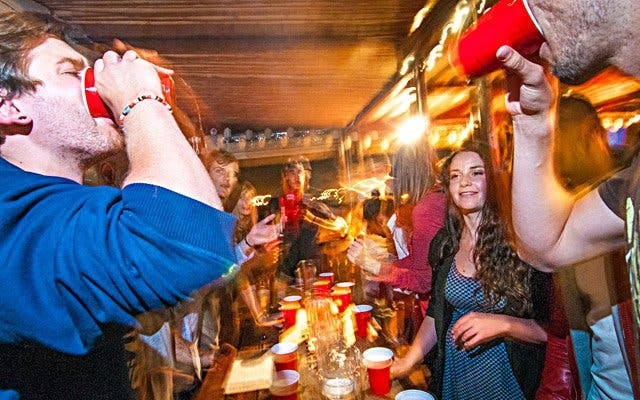 Rowdy games of beer pong bounce around, strangers natter merrily with new-found friends, young business-types take shots of green liquid at the bar and everyone looks ready to settle in for the rest of the evening – all features of the venue that exude an enticing hostel-meets-frat house feeling. The Forex Bar’s doors are open to all willing to participate, but space is limited to thirty-two teams and Beer Pong knockout stages begin at 9pm. In fact, this is a big part of the allure of Forex: it is so laidback and so centred on a sense of community that it really starts to feel like home. The easy-going, lived-in atmosphere is further created by the the warm bamboo and wood finishes, fireplace, bookshelves and board games that are found in the cosy, wooden inside area, which was refurbished to make it even more warm and snug. But, in the height of the sweltering season, it is the enclosed outside deck that draws the crowds. Peering out over a sea of rooftops and the colourful hub of creativity and freedom known as Observatory, this beach-style balcony is the ideal perch for sundowners or a moonlight tipple. And it’s here where I find myself sipping white wine while watching ping pong balls plonk into cups of golden ale. Apart from vino, the pub serves up almost anything necessary to keep guests well oiled: there are 13 different craft beers on tap, as well as craft Gin and Tonic on tap, which is a first for Observatory, and a little bird whispered to me that plans to brew their own beers at The Forex Bar are in the pipeline for the near future. The Forex Bar also offers an artisan ale tasting board, a medley of classic cocktails, premium tequila, top rums, whiskies and liqueurs and, of course, 2L college-style pitchers of brew meant to be shared with mates. It’s this combination of good eats, great drinks, interesting company and electric vibes that make this Southern Suburbs bar a prime night-time option. 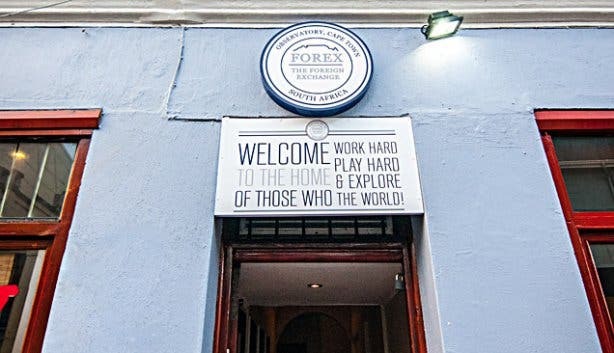 And, of course, when it comes to a pub that’s globally diverse and anything but cliquey, The Forex Bar gives all other Mother City watering holes a real run for their money. Tip: Forex is the place to be to commemorate any big foreign national occasion, like Halloween, Saint Patrick’s Day, Cinco de Mayo or Fourth of July. The bar also has events on most nights of the week: there’s a free pub quiz on Tuesday nights and beer pong on Thursdays. The Bill: Despite its foreign focus, prices are tailored to the South African pocket. 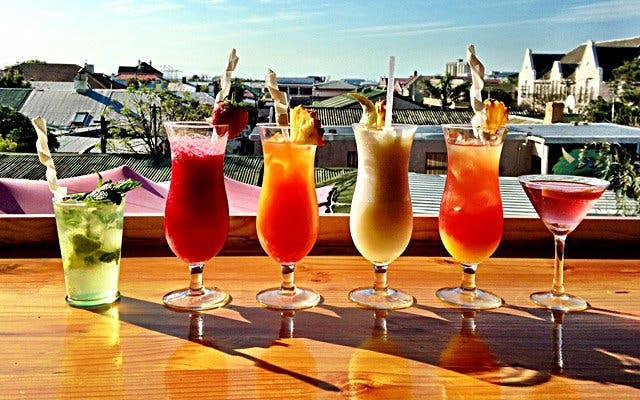 Cocktails cost from R42 to R54, draught craft beer rings in at between R25 and R100, wine is priced between R25 and R45 a glass and between R100 and R170 a bottle. 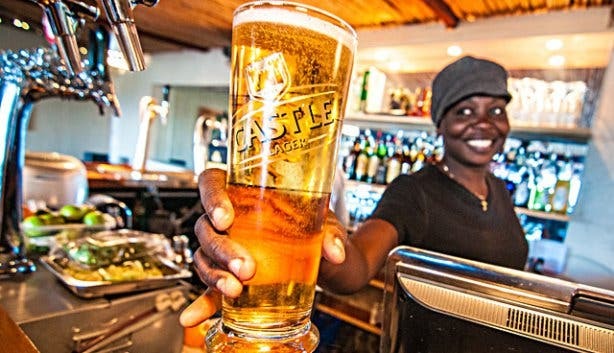 During happy hour, which runs every day between 6pm and 8pm, and Wednesdays from 6pm to 12am, prices are slashed further as drinks range between R14 for a shot of jagermeister or tequila, to R90 for a pitcher of Black Label as well as promotional prices for ciders, vodka mixes and Jam Jars. Looking for a place to stay in the multicultural suburb of Observatory? Read more about African Heart Backpackers.